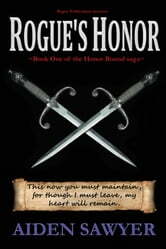 Rogue's Honor is an epic fantasy tale centered in a world populated by Men, Elves, Dwarves, Orcs... and the occasional Demon. It is a story rich with conflict, robust characters, mystery, and magic. Synopsis: Tellion Steele, a peasant Elf by birth, was typically naïve and optimistic in his formative years and, without regard to the disparity between their stations, surrendered his young heart impulsively and completely to Lynless Allystriel, the Elven princess of Celestar. Yet, Tellion was anything but a typical Elf. Even in his youth he had faced demons, and he held secrets. . . secrets that eventually landed him in trouble with the Elven aristocracy. 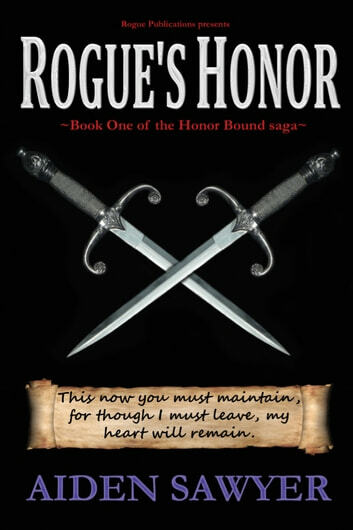 Banished from his homeland, the only honor Tellion Steele came to know was that of the sword and the shadows. Bereft of family and forsaken by Lynless, the outcast Elf learned to make his way in life as a thief and a mercenary. Now, the world is seized by the machinations of conspiracy and war, and the Elven princess is somehow caught up in the workings. Against his better judgment, Tellion finds he must return to the land of his exile to protect the beautiful princess from the forces of evil that threaten her. But when a conflicted Lynless refuses his aid, Tellion is forced to play a dangerous game fraught with peril and intrigue as he walks the fine line between honor and treachery, deceiving both friend and foe alike to pull off the gambit of his life – to liberate the unwilling princess from the fortress of the Elf-king.